Tube heat exchangers are designed to transfer heat energy from one liquid to another without direct contact between the two liquids, ensuring that there is no mixing. Typically used for high pressure and high temperature applications, tube heat exchangers are extremely durable due to the shape of their design. As the most common type of heat exchanger used in oil refineries and large chemical processes, tube heat exchangers offer several variations in design that allow them to be useful for different applications. 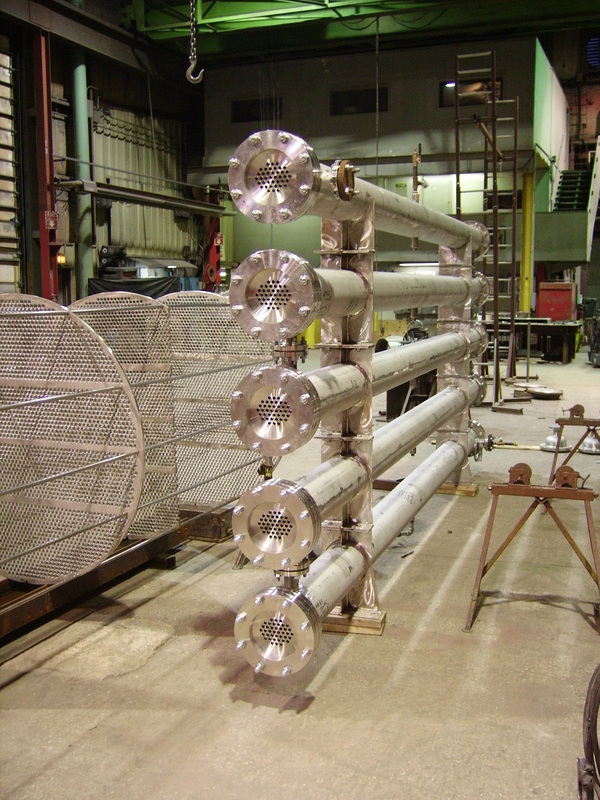 Applications that tube heat exchangers are utilized in include waste water heat recovery, process heat removal, hot tubs, air conditioning, transmission and engine coolers, oil coolers and boiler sample coolers. 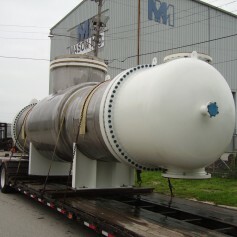 Tube heat exchangers serve industrial and commercial industries as well as marine, heating and cooling, automotive, aerospace, waste treatment, food processing and pharmaceutical. There are three main designs for tube heat exchangers: U-tube heat exchangers, straight-tube heat exchangers and spiral heat exchangers. The basic design of the tube exchanger, however, does not alter much. Inside of the tube heat exchanger’s shell there is a tube bundle: one tube houses the fluid that must be heated or cooled, while the other tube houses the liquid that will transfer the heating or cooling energy. In order to transfer the thermal energy the second tubing runs over the first tubing. The tube walls are metal wall partitions that act as conductors between the two fluids. Thermal energy only flows from the hotter to the cooler in an attempt to reach equilibrium. The surface area of these partitions affect speed and efficiency: the larger a partition’s surface area, the faster and more efficient the heat transfer. In a U-tube heat exchanger the tube bundle is used to contain the fluid on the outside of the tube bundle and a head assembly is bolted to the shell in order to direct the fluid into the tube bundle. Straight-tube designs allow tube heat exchangers to handle heavy flowing fluids or applications where temperature cross conditions exist. Spiral heat exchangers have a spiral body made from two flat surfaces, typically metal strips, which are coiled to form two spiral channels. Tube Heat Exchangers A tube heat exchanger, also known as a shell and tube heat exchanger, consists of a series of tubes within a shell, or large pressure vessel. The tubes can be several different types of tubes, including plain or longitudinally finned, which can be either in a straight or U-tube bundle, or set of tubes. U-tubes are when the tube bundle is bent in a U-shape.